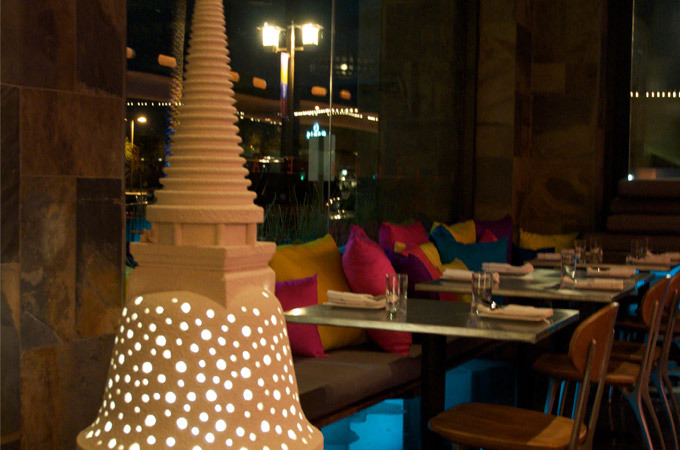 SOI 4 was named the 2011 critics choice “Best Thai Restaurant” by the Arizona Republic. The Siri Group’s dining collection of Thai restaurants include four in northern California and one in Scottsdale. Like the city, Soi 4 Bangkok Eatery offers a modern take on the traditional through the use of fresh local ingredients, sustainable practice, and a creative approach to authentic Thai dishes. Soi 4 also offers Thai inspired artisanal cocktails and a wide variety of local and imported beers influenced, accented, tinged, anything but ‘fusion’.